We brought consistency to a growing product offering and clarity to a evolving brand through and developed a brand book to codify these marketing and design strategies. We then executed this through a series of product redesigns and new product launches. Worked on at the Johnson & Johnson Global Strategic Design Office. 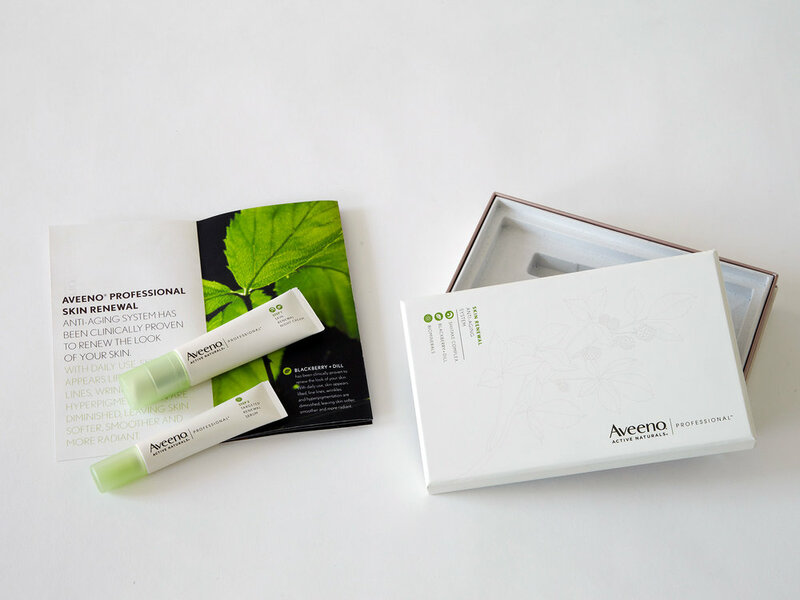 We developed a brand spectrum to help understand commonalities and variations from one end of the Aveeno product offering to the other. 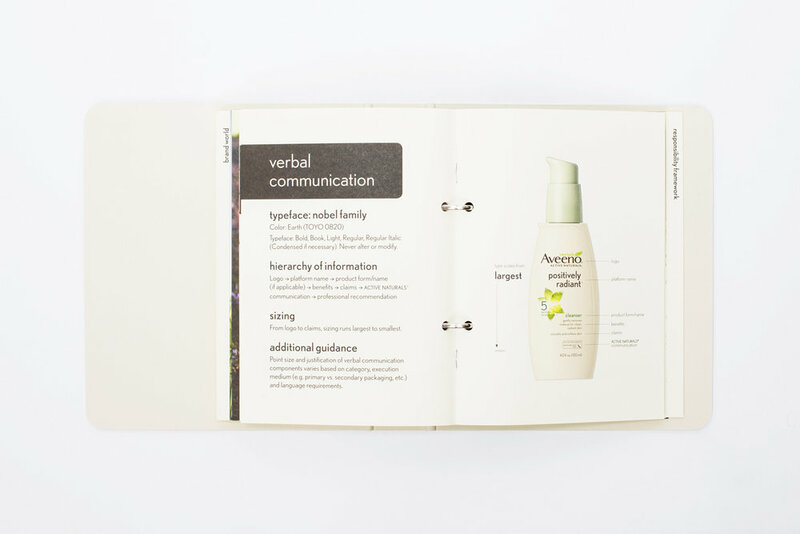 This brand book was designed to help everyone at Aveeno understand the brand history, current positioning, and design and marketing execution guidelines. 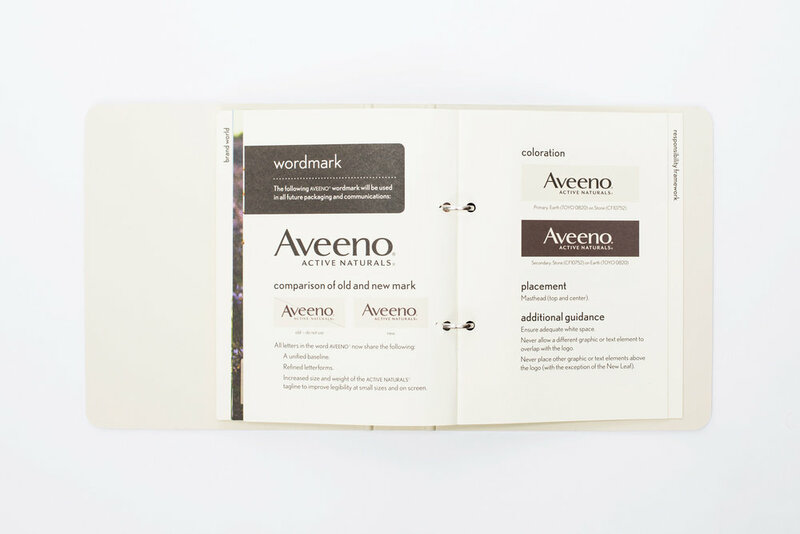 We evolved the Aveeno wordmark in collaboration with Greg Lindy and established guidelines for the identity and package design. Range of package design from one end of the spectrum to the other. 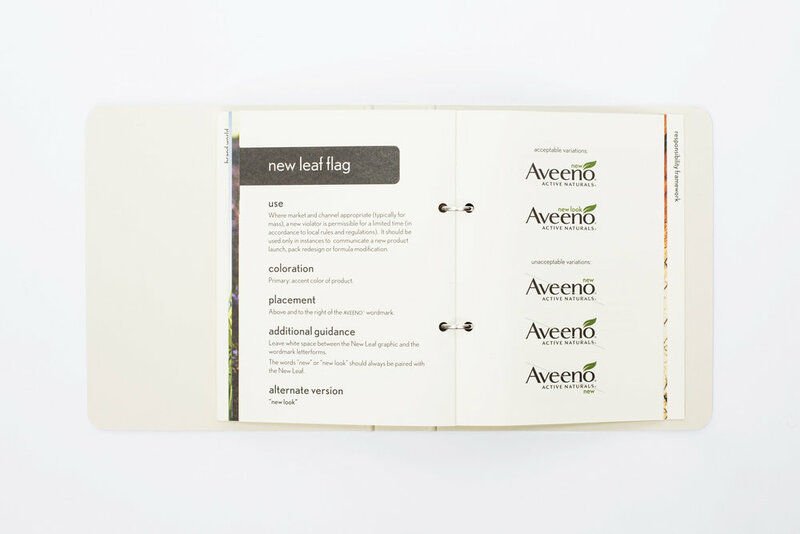 Aveeno Professional package and brochure design.